Earn $9.34 in Rewards credit (934 points) What's This? 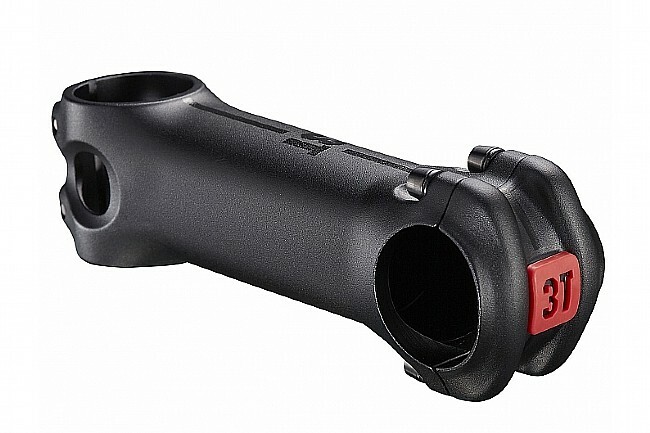 3T's Apto Team Stealth Stem combines functionality with elegance. The steerer clamp features double bolts to hold the steerer securely and provide redundancy for extra safety. Reverse faceplate bolts clean up the faceplate for a more elegant design. Stack: 40mm (+/-6°); 35mm (+/-17°). Length (mm) / Weight (g) (6°): 70/127, 80/134, 90/139, 100/147, 110/154, 120/159, 130/167. Length (mm) / Weight (g) (17°): 80/133, 90/136, 100/140, 110/148, 120/152, 130/157.